As I suggested a few months ago, we put some credence in Panasonic’s press release last September that they would be shipping their first 32-nm HKMG parts last October. 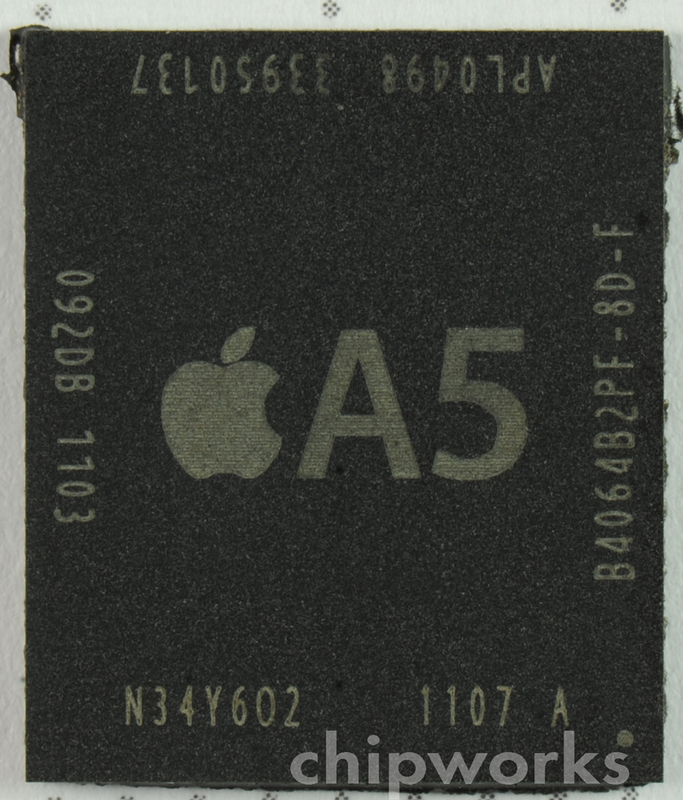 Samsung had announced their Saratoga chip, and both Altera and Xilinx have displayed silicon from TSMC, but until last Friday (18 March), none have said that they were shipping product. 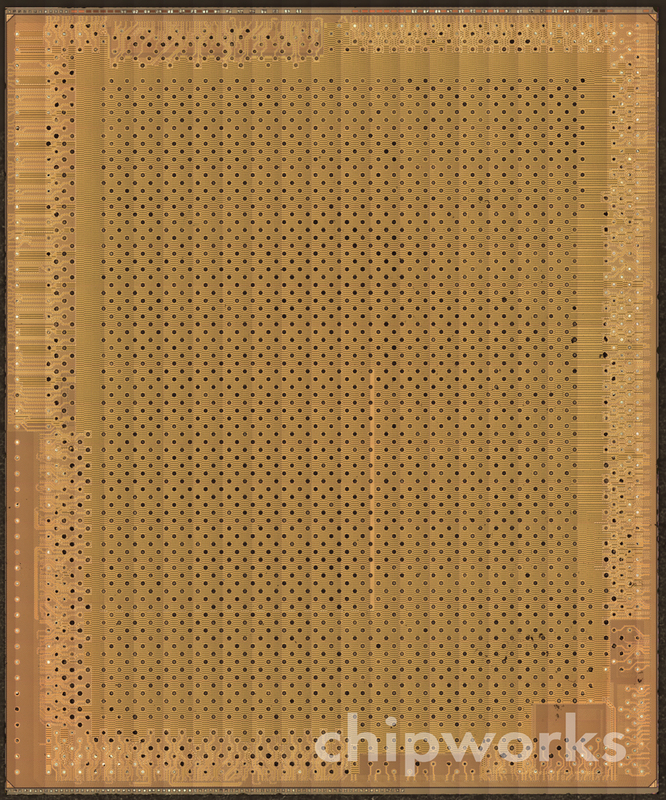 As of Friday Xilinx announced that they were shipping their Kintex-7 product, the first of their 7-series of FPGAs. 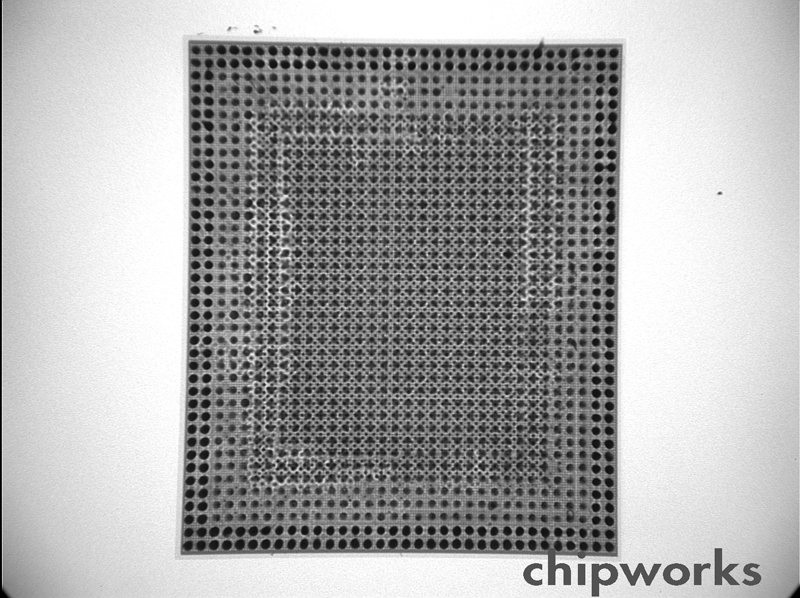 Earlier this month our faith in Panasonic was rewarded, and we found the chip! It took a few false starts buying Panasonic products that we tore down and threw away, but now we have a verified 32-nm, gate-first, high-k metal-gate (HKMG) product. 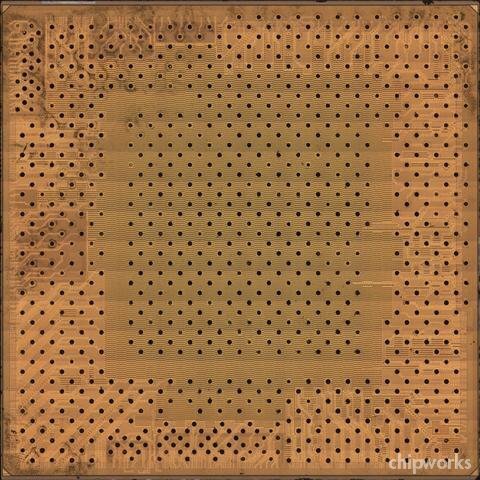 The supply chain was a bit longer than we had hoped, but as promised the chip was shipped with a week 41 date code, in October. We can see the TiN metal gate at the base of the polysilicon, and the thin line of high-k at the base of the TiN. Also noticeable are a dual-spacer technology (sometimes referred to as differential offset spacers), and a thin line of nitride over the source/drain extension regions (possibly indicating a nitrided oxide under the high-k). The salicide is the usual platinum-doped nickel silicide. 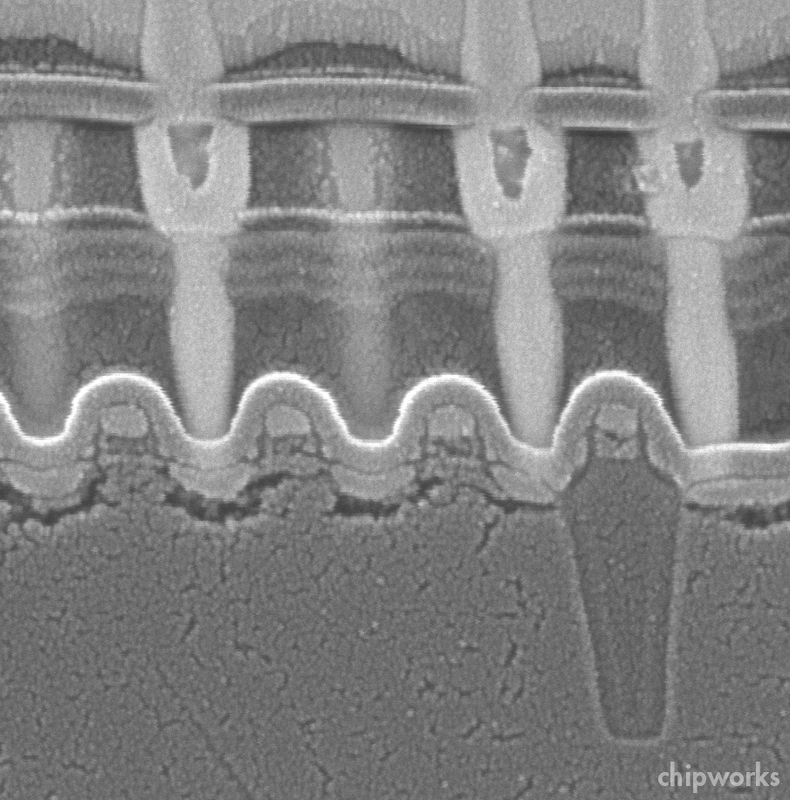 Less visible are mechanisms of applying strain, other than the nitride layer over the gate; embedded SiGe and dual-stress liners are not used. 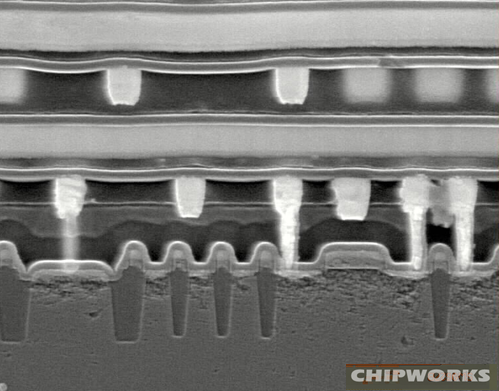 All of which is typical for Panasonic – their 45-nm product did not appear to use any enhanced strain techniques, and the only concession to PMOS enhancement was wafer rotation to give a 1-0-0 channel direction. 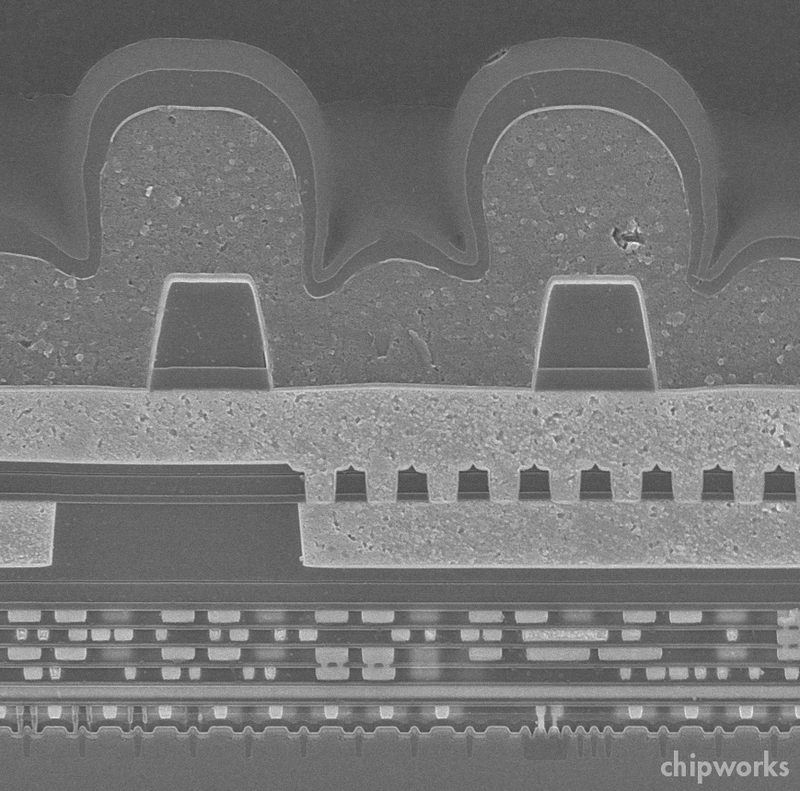 The emphasis is different from Intel; rather than raw performance, the targets are increased integration, die size reduction/reduced cost, and now we have high-k, reduced leakage/lower power. 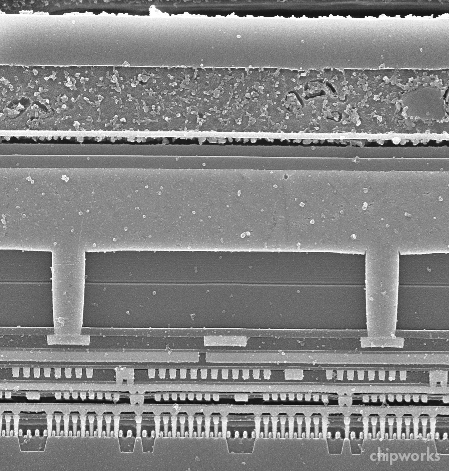 The September press release does say that transistor performance is improved by 40%, but it also claims 40% power reduction and a 30% smaller footprint. 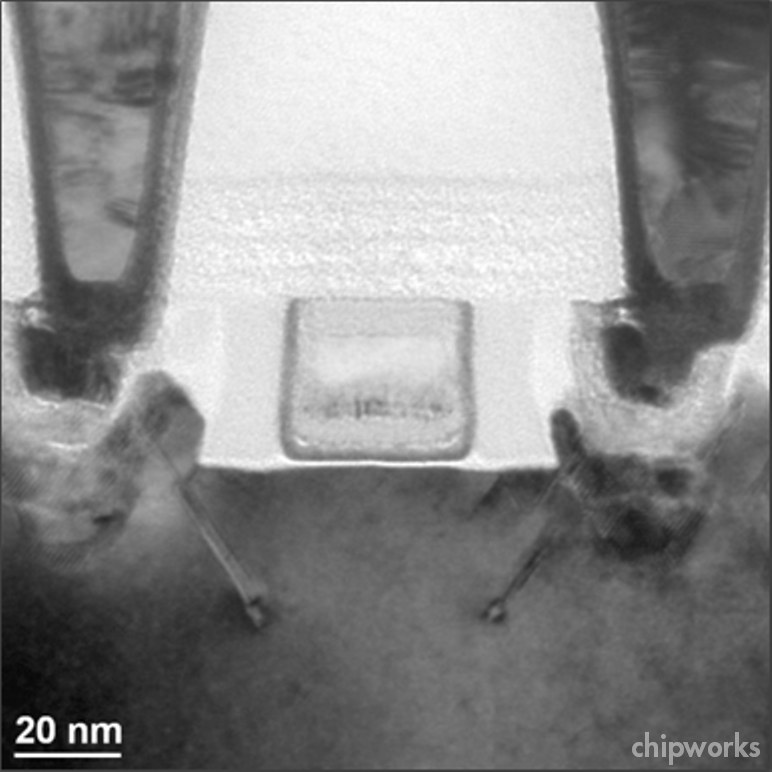 The part itself uses a nine-metal (eight Cu, one Al) stack with a hybrid low-k/extra-low-k stack. 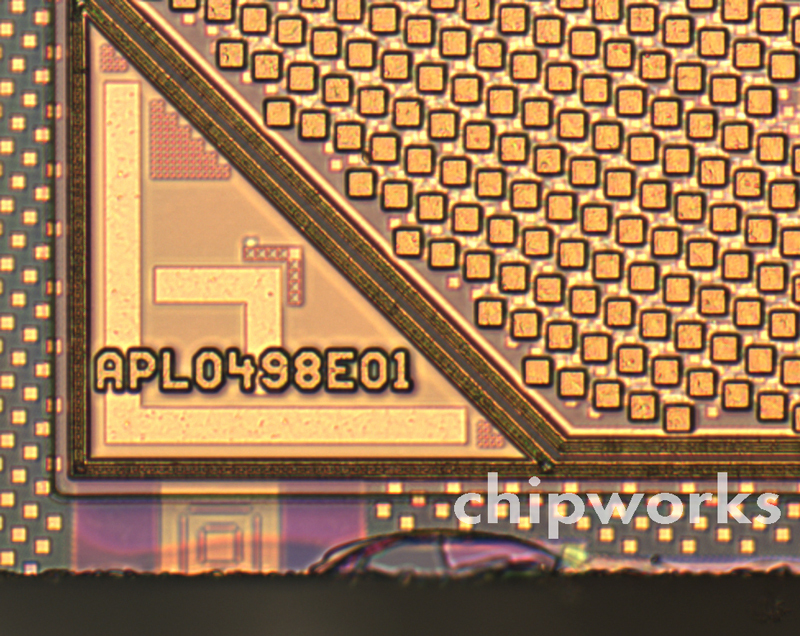 Die size is ~45 mm2 in a conventional FC-BGA package. Minimum metal pitch is specified as 120 nm , and we have found 125 nm in our early investigations. Analysis is ongoing – stay tuned for more details, and of course we’ll be doing reports! This entry was posted in Uncategorized on March 21, 2011 by insights-from-leading-edge. This entry was posted in Uncategorized on March 13, 2011 by insights-from-leading-edge.